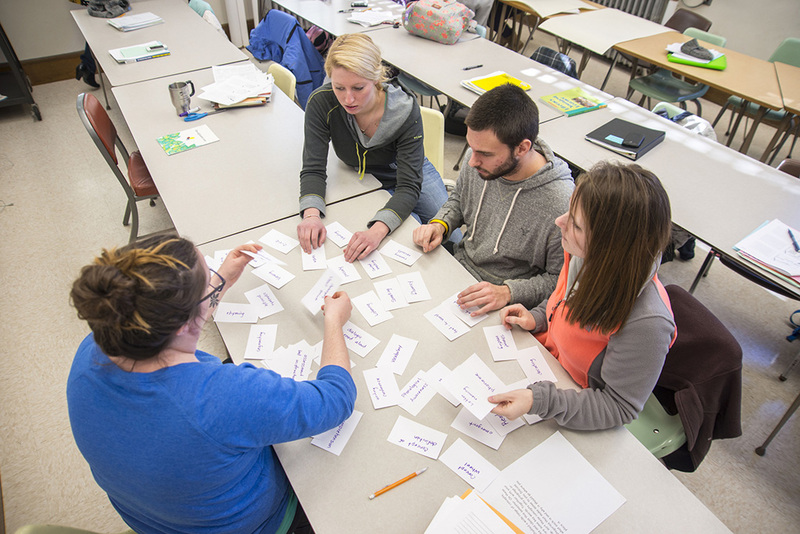 The University of Maine’s literacy education graduate programs (master’s and Certificate of Advanced Study degrees) provide the opportunity to explore vital issues of literacy research and instruction with nationally recognized faculty. 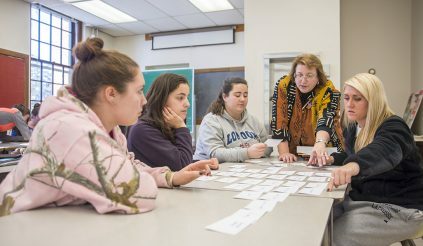 The programs are designed to engage students in authentic and practical experiences whether working directly with children or adults in our literacy clinic, engaging with students in their own classrooms, conducting research in field settings, or developing a student’s own writing skills in summer writing institutes. Depending on your career goals, our programs can lead to state of Maine certification in literacy education. Graduates emerge as strong advocates for literacy in their schools and communities. Graduates of our programs become leaders in literacy in their own schools as knowledgeable teachers, curriculum coordinators, literacy specialists, literacy coaches and school administrators with a strong understanding of the demands of current literacy curricula. The literacy graduate programs include a mix of on-campus and online courses that meet the needs and schedules of working professionals. We offer three options for degrees at the master’s level (M.Ed. ), as well as a Certificate of Advanced Study degree in literacy education. M.Ed., Literacy Specialist: Requires 42 credits of graduate level work and leads to Maine state certification as a K-12 literacy specialist. Basic requirements consist of core coursework in literacy and electives in related fields. Electives will be scheduled with advisor’s approval. Degrees are awarded upon successful completion of courses and either a written comprehensive exam or portfolio submitted to the academic advisor during the last semester of coursework. M.Ed., Literacy Education: Requires 33 credits of graduate level work. This degree program is designed to further elementary and secondary teachers’ knowledge of literacy theories, practices and research. Students complete a core of 15 hours in literacy, as well as related electives chosen in consultation with a faculty advisor. M.Ed., Individualized Program in Writing and the Teaching of Writing: Requires 33 credits of graduate level work. This degree program is designed for teachers who want to gain experience in the teaching of writing in real and virtual contexts. The course of study is planned in consultation with a faculty advisor, and includes online academic year courses and on-campus summer options. The program also includes an online practicum guided by a writing mentor. For students who want to continue their studies beyond the master’s level, we offer a C.A.S. 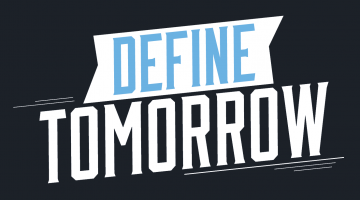 degree, with three areas of focus for students to choose from. Individually designed: Combines advanced coursework in specific areas of literacy with other professional and academic areas such as human development, psychology, language and literature, research, administration and supervision. Curriculum coordination and instructional supervision: advanced coursework in the areas of supervision and evaluation of personnel, organizational theory and planning, educational leadership, educational philosophy and theory, effective instruction, curriculum development, staff development and teaching the exceptional student in a regular classroom. Early literacy: A core of 12-18 credits in early literacy, 3 credits in research, 3 credits in a practicum and 6 or more credit hours from special education or literacy. For current information about tuition and fees, please visit the Bursar’s office. Applicants for the master’s programs must be certified elementary or secondary teachers with at least two years’ successful classroom experience. Applicants for the C.A.S. must have a master’s degree. All degrees have a rolling admissions deadline and applications are processed through the University of Maine Graduate School. For more information on how to apply, contact Program Coordinator Susan Bennett-Armistead, susan.bennett-armistead@maine.edu.